The Shnuggle Classic Moses Basket has now won so many awards, it’s becoming difficult to keep count. 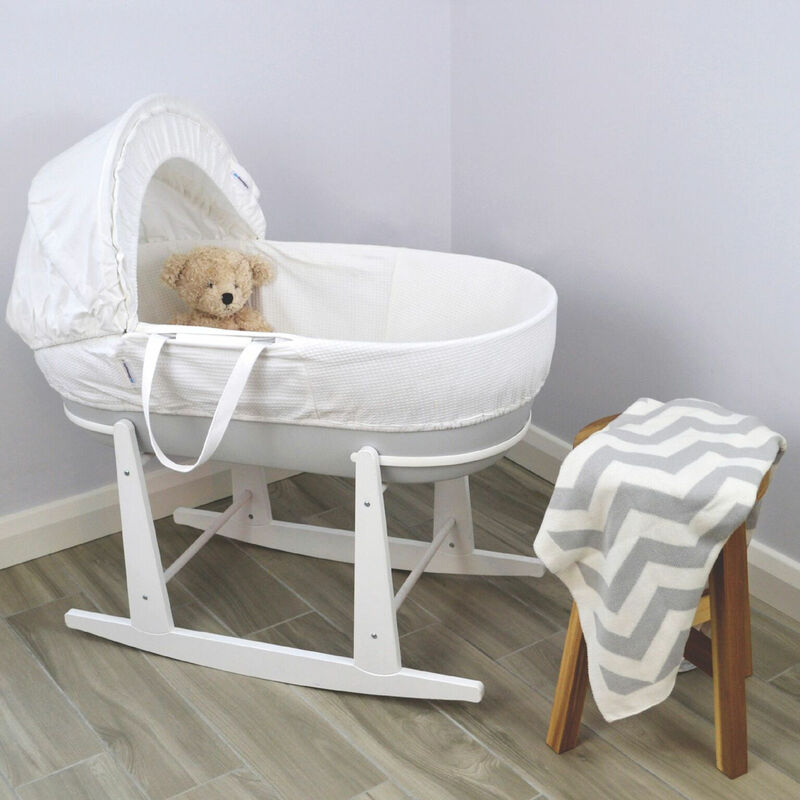 Made with a revolutionary hypoallergenic base which is ventilated and easy to clean, the moses basket remains silent when baby moves around, unlike wicker baskets which often can creak loudly enough to wake sleeping infants. Dressed in nothing but 100% soft cotton waffle fabric, the basket also features an inner padding for luxurious comfort and is lightweight enough (just 4kg) to carry with you anywhere you go (even if you’ve just had a baby). The Classic Shnuggle Basket is larger than traditional moses baskets and is equipped with a hood that actually locks in place (so no more frustratingly floppy hoods to endure). It can be used as a bedside crib for night-time feeding and is easily moved around the home during the day. Also coming with a luxury quilted mattress with removable (washable) cover and fabrics which can also be removed for washing purposes, the Classic Snuggle Moses Basket is truly the perfect first bed for your little one. Included is the Shnuggle Moses Basket Rocking Stand, perfectly sized to compliment your Shnuggle Moses Basket, but will accommodate any moses basket of approx 80x37cm. The retaining bars ensure that your choice of basket is held firmly in place and the curved base provides a gentle rocking motion which is sure to soothe baby to sleep when in their basket. Quilted mattress (approx 75cm x 29cm).